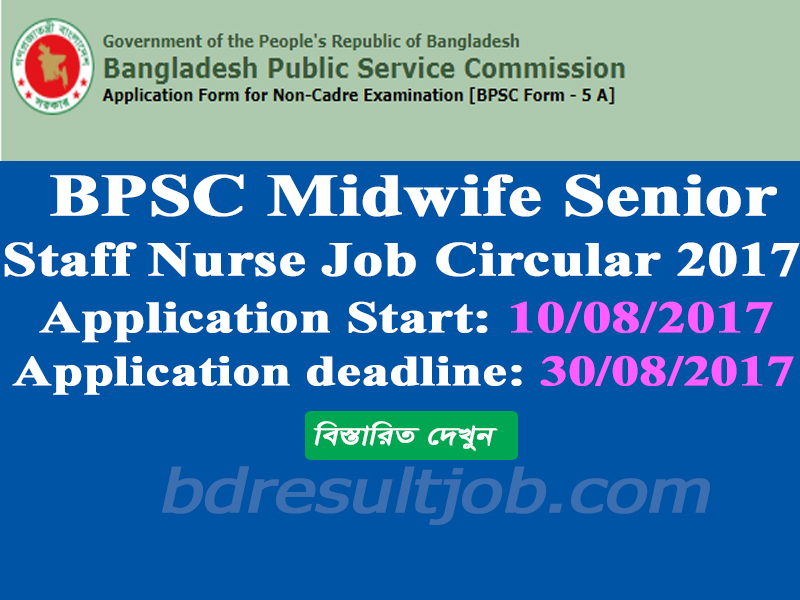 Bangladesh Public Service Commission published Midwife Senior Staff Nurse Job Circular on 08, August 2017. Interested candidates can registration in BPSC.GOV.BD Non Cadre Job Circular & Apply Online 2017 by BPCS Official website at www.bpsc.gov.bd. Bangladesh Public Service Commission Midwife Senior Staff Nurse Job Circular & Apply Online 2017. 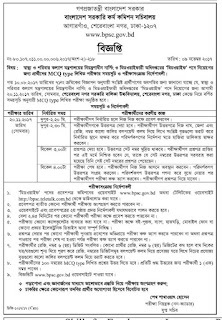 Bangladesh Public Service Commission Non Cadre Job Circular & Apply Online 2017 was started on 10 August, 2017 at 12.00 pm. This application process will be continuing till 30 August 2017 at 6.00 pm. 3. Application process via Online. Institute : Health and Family welfare Ministry. Education Qualification : BSc in Midwife from any recognized University or Diploma in Midwife and Registered by the Bangladesh Nursing Council. Age limit : 30 (Thirty) years on 01/08/2017, For freedom fighter’s son or daughter it wills highest 32 years old. 2. If any candidate is married to a non-Bangladeshi, they will not be considered eligible to apply without the written permission of the government. In this case, the government's permit will be submitted with Form-3 after written examination. 2. Applicants have to insert recent photo, photo size is 300*300. But not more than 100 kb. 3. They must upload own signature, signature size is 300*80 and file size is not more than 100 kb. And it should be jpg format. How to pay Application Fee via Teletalk sms? Candidates have to pay online application fees by Teletalk mobile phone. An application fee is BDT. 500.00. Candidates have pay application charge by Teletalk sms. Reply: Congratulations! Applicant’s Name, payment completed successfully for Non-cadre examination. User ID is (xxxxxxxx) and Password (xxxxxxxx). If password is lost, please type BPSC<Space> HELP<Space> SSC Board<Space> SSC Roll<Space>SSC Year and Send to 16222. After pay Applicant download admit card by using USER ID and password. Receiving an Admit Card by submitting a candidate’s examination fee cannot submit online application forms multiple times. If any candidate completes the application form online and completing the fee, his application will have been finalized. Applicant has to attend written exams and viva voice. Written exam’s syllabus will be found in here at www.bpsc.gov.bd. Preliminary objective (MCQ)test or written will be held in Dhaka. Only written test will be held in Dhaka. 5. Attested copies of national ID card, Applicants copy, admit card copy. 6. Attested copies of national ID card, Applicants copy, admit card copy all have to add. Applicants all information should be true. If any incorrect or wrong information will be found, then the Application will be invalid without any hesitation. Tags: midwifery job circular. midwifery circular. midwife circular. www bpsc gov bd job circular 2017. nursing job circular 2017. Bd midwifery. bpsc non cadar notice for midwife. www midwifi bd. bpsc nursing job circular 2017. bpsc online application senior staff nurse. bpsc teletalk com bd/list for viva of ministry of health. bpsc midwife jobs last update. 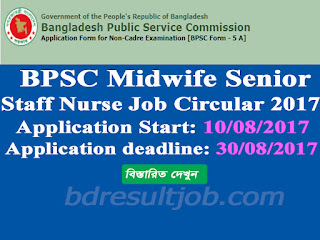 bpsc midwife circular bd. Bpsc medwife nurse exam date. bpsc circular 22 2 bpsc bd exam quartion. bpsc bangla mcq. bd nursing job today. 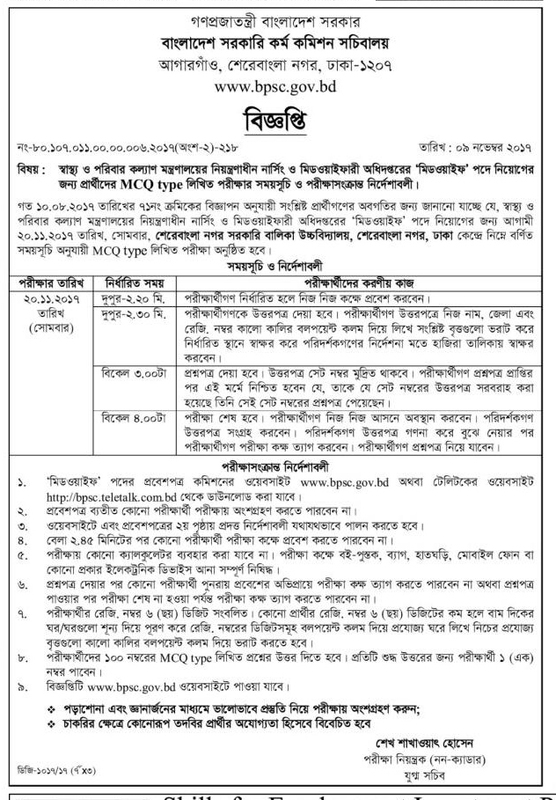 bd junior nurse job government. bd job circular 2017 nursing.